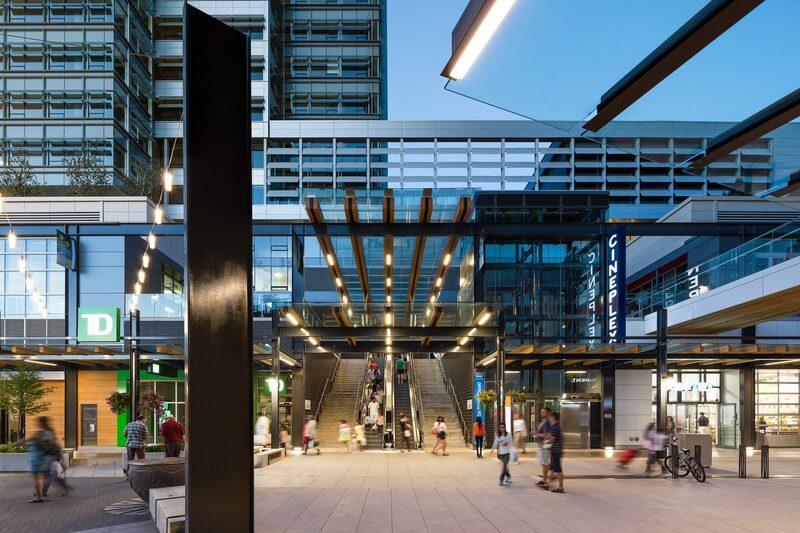 One of Vancouver’s newest community Marine Gateway is a LEED Gold® transit-oriented, mixed-use development that anchors South Vancouver’s neighbourhood town centre and serves as a vibrant, safe and complete community. Marine Gateway is a remarkable example of forward-thinking city-building, combining direct transit integration of two major transit hubs (Marine Drive Station on the Canada Line and the South Vancouver Bus Loop) with over 240,000 SF of multi-storey retail, a 14-storey office building, 461 residential homes) and a stunning public realm space. Two dynamic light art installations are integrated into the facades.